Alina Creamer ’20 has just completed her sophomore year at NC State, yet packs an impressive resume. 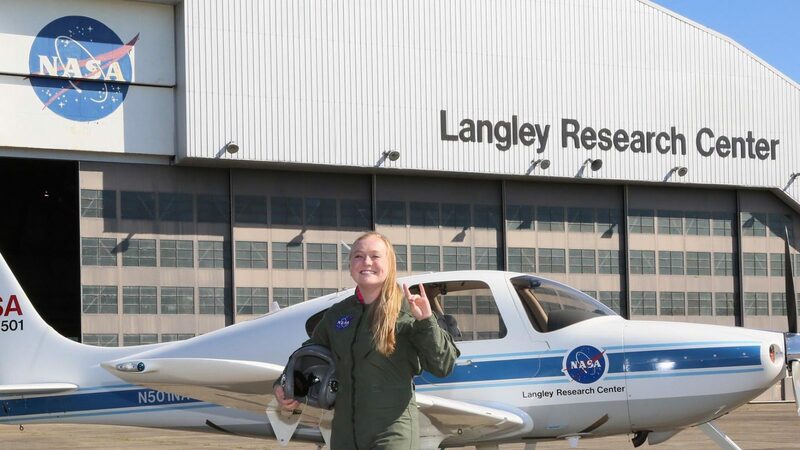 Starting with an internship at Lockheed Martin while in high school, she has since added internships at NASA Langley Research Center (LaRC) and Northrop Grumman Innovation Systems. With a major in aerospace engineering, the internships have allowed her to apply concepts learned in the classroom to the real world and has provided her with the connections needed for a bright career. 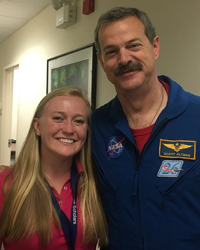 In the summer following her freshman year, Creamer obtained an internship as a contamination control and planetary protection engineer at NASA LaRC. The internship allowed her to gain hands-on training in recertifying cleanrooms, research experience with contamination control guidelines, and mentorship skills. Her mentoring extended to students in two Virginia Space Grant Consortium (VSGC) programs: Virginia Aerospace Science Technology Scholars (VASTS) and Virginia Earth System Science Scholars (VESSS). During the VSGC programs, Creamer notes assisting students in the mission design process for a theoretical crewed mission to Mars (VASTS) and an Earth-observing satellite mission (VESSS). This particularly made an impact, as it allowed her to give back to a program that propelled her interest in aerospace engineering.